SoftBank could soon invest up to $20 billion in WeWork, granting the Japanese conglomerate a controlling stake in the office-space provider. Given the deal’s poor timing and WeWork’s mushrooming losses, lack of focus and vulnerability to competition, SoftBank should work on its proposal. A purported investment from SoftBank's $100 billion Vision Fund would court controversy. The fund’s largest outside investor is the Saudi Arabian government, which is currently fielding accusations of foul play over the disappearance of Washington Post journalist Jamal Khashoggi. WeWork has also faced its fair share of scandals around workers’ rights and its booze-friendly policies. And Vision Fund investors would be disproportionately exposed to WeWork – far from a safe investment. The bigger question for SoftBank, which already owns a fifth of WeWork, is whether the business model warrants a $40 billion valuation. The eight-year-old company leases space from real estate companies, refurbishes it then rents it out – not a revolutionary idea. It seeks to add value and differentiate itself by designing trendy offices, cultivating fun workplaces that boost employee satisfaction, and offering shorter leases for smaller spaces than a conventional landlord. It also claims to cut corporate tenants’ operating costs by 20% to 50% by passing on its savings from bulk-buying furniture and leasing large amounts of space. Yet it has resorted to poaching clients from competitors by offering a year of free rent. Free beer, hip decor and community events can’t compensate for the lack of proprietary technology or a unique service. The strongest support for WeWork’s valuation may be its growth rate. Sales more than doubled to $422 million in the second quarter of this year, thanks to a two-fold rise in member count to 268,000. The occupancy rate across its 287 locations also climbed to 84% at the end of June, up from 78% a year earlier. However, its net loss widened from $150 million in the first half of 2017 to $723 million in the same period of this year. And CEO Adam Neumann’s dubious defence of WeWork’s valuation has been to dismiss conventional metrics in favour of ‘community-adjusted’ earnings – which exclude growth costs – and pitching the business not as a real estate company but as “a state of consciousness” powered by “a generation of interconnected emotionally intelligent entrepreneurs”. The start-up may also suffer from a lack of direction. 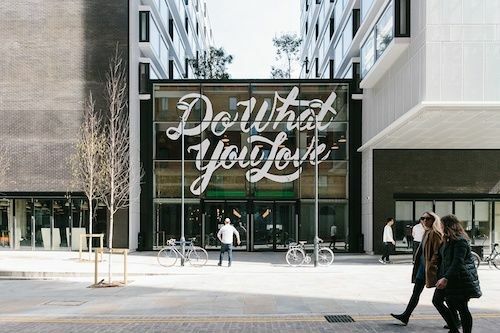 In its rush to “radically transform the way we work, live and play”, WeWork has leased apartments, opened gyms, hired yoga instructors and molecular biologists, acquired a coding academy and a meet-up website, and opened an elementary school. Juggling so many initiatives – on top of scouting, leasing and refurbishing new sites and satisfying existing members - risks spreading attention too widely and dropping the ball. Growing distracted and neglecting the core business could allow established competitors such as IWG – formerly Regus – to eat its (meat-free) lunch. WeWork’s offices appeal to a new generation of workers who prize flexibility, comfort, community and perks. Freelancers are joining in droves and companies of all sizes are recognising the benefits for employees and the savings from outsourcing the design and maintenance of their offices. But the question marks over valuation and the reputational risks should make SoftBank think twice about taking over WeWork.